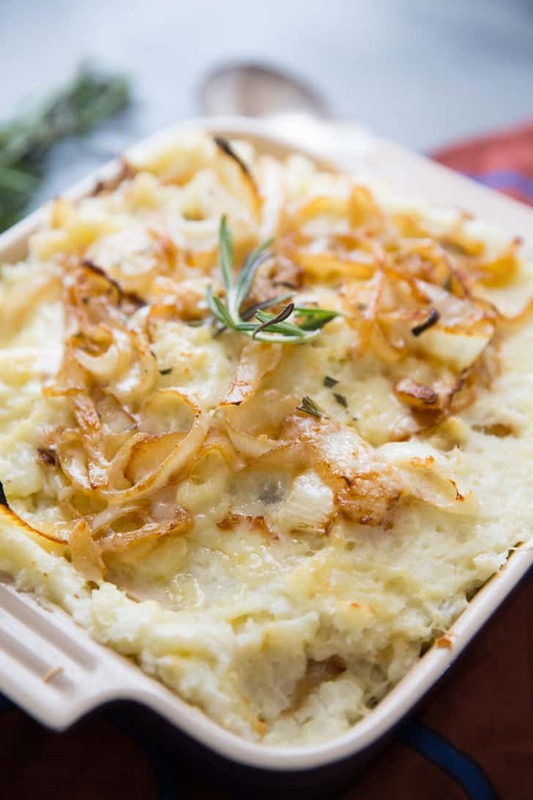 This comforting dish is blended with Gruyere cheese and caramelized onions. On Thanksgiving, will you pile your plate high with easy homemade stuffing, sauteed Brussels sprouts, turkey, mashed potatoes maybe a sweet potato biscuit or two and some sweet potato casserole? Then when you have your plate filled and arranged just how you like it, will you smother it all with your favorite brown gravy? I know quite a few people who do this exact thing on Thanksgiving. I think it’s because we rarely eat gravy. Gravy is like a special pair of diamond earrings. We rarely have occasion to wear them, but when we do, they feel so luxurious and we are reminded how much we love them. Gravy IS delicious, but when you smother your food in gravy you only TASTE the gravy. The flavor of each unique side dish that we also wait all year to eat is lost under the river of brown, turkey flavored gravy. That is when gravy resembles a big glossy pair of gold hoop earrings. Too much glitz and glamour that detracts from your beautiful face! These mashed potatoes have so much going for them. They are creamy, rich, highly-flavored and satisfying. Drenching them in gravy would be a travesty. 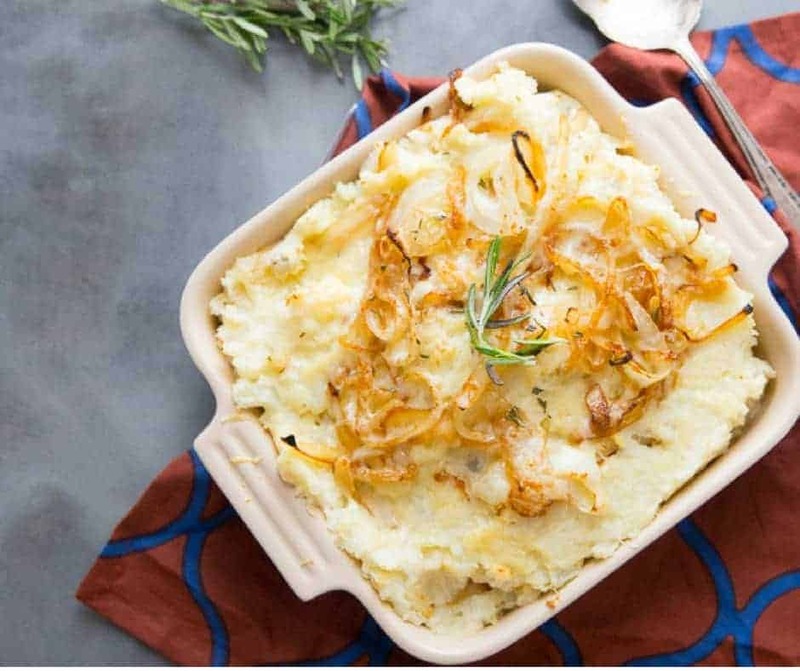 Boiled potatoes are mashed with butter, half and half, and nutty tasting Gruyere cheese. Gruyere is one of my most favorite cheeses. It is similar to Swiss cheese in flavor, but it is milder and very creamy. It melts beautifully into the hot potato mixture. It also pairs extremely well with sweet caramelized onions and woodsy rosemary. Caramelized onions are very easy, do not be alarmed! Simply cook sliced onions over medium heat until they turn caramel in color. They are delightful and enhance the flavor of anything they touch. 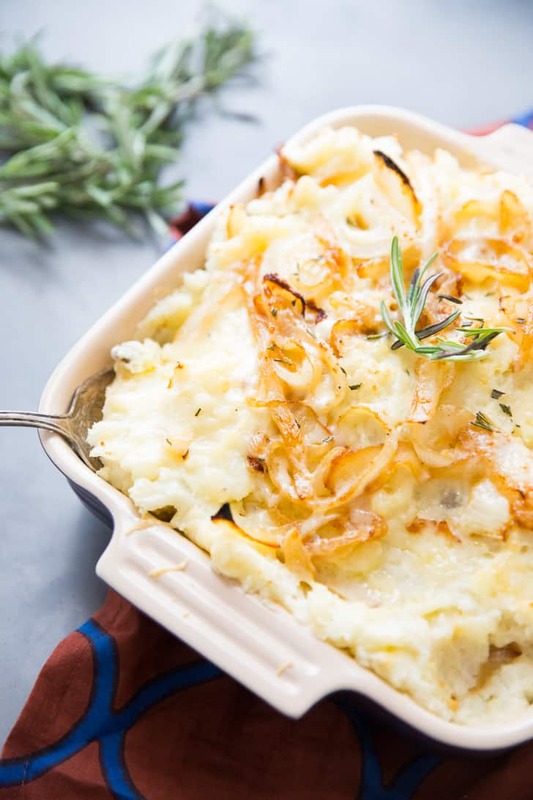 Top your cheesy mashed potatoes with the caramelized onions and hit them with a little more cheese. These potatoes do not spend a lot of time in the oven, you only broil them until the cheese is melty and bubbly. This dish will add a decadence to your Thanksgiving table without being overpowering. These potatoes have powerful flavors, but together they form a mild yet elegant side dish! 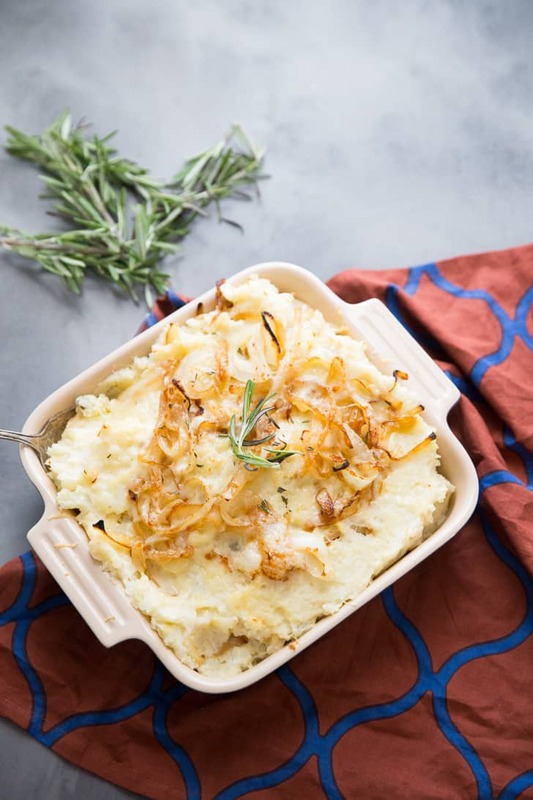 Cheesy Mashed Potatoes are comfort food at it's best. 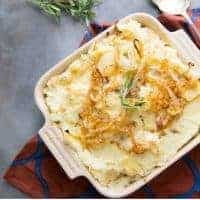 This comforting dish is blended with This comforting dish is blended with Gruyere cheese and caramelized onions. To prepare the caramelized onions, place a large skillet over medium heat, add the oil. Add the sliced onions to the skillet and cook the onions until they turn caramel in color, about 10-15 minutes. Cut potatoes into equal pieces and place in a stockpot. Cover potatoes with water and place the pot over medium heat. Bring the water to a boil. Cook potatoes for 8-10 minutes or until the potatoes are fork tender. Drain. Return potatoes to the pot and add the butter and the half and half. Add 1/2 cup of the grated cheese to the potatoes and stir until incorporated. Add rosemary and half of the onions. Place potatoes in an oven proof baking dish and top with the remaining onions. Sprinkle the remaining 1/4 cup of cheese over the onions and place under the broiler until the cheese has melted. these potatoes sound like the ultimate in flavor for mashed potatoes . Have to make these. Question for you as this looks great. You list 1 tsp of oil total. Do you suggest caramelizing onions in butter? I usually only use olive oil to caramelize my onions. You can certainly add more oil, use butter or use a combination of the two. 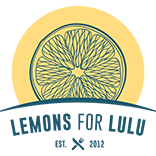 Could these be made ahead of time (day before) and if so would you do anything different? Like adding onions/cheese the day of? Yes! I’ve made them in advance plenty of times. Prepare them as directed but bake just before serving.